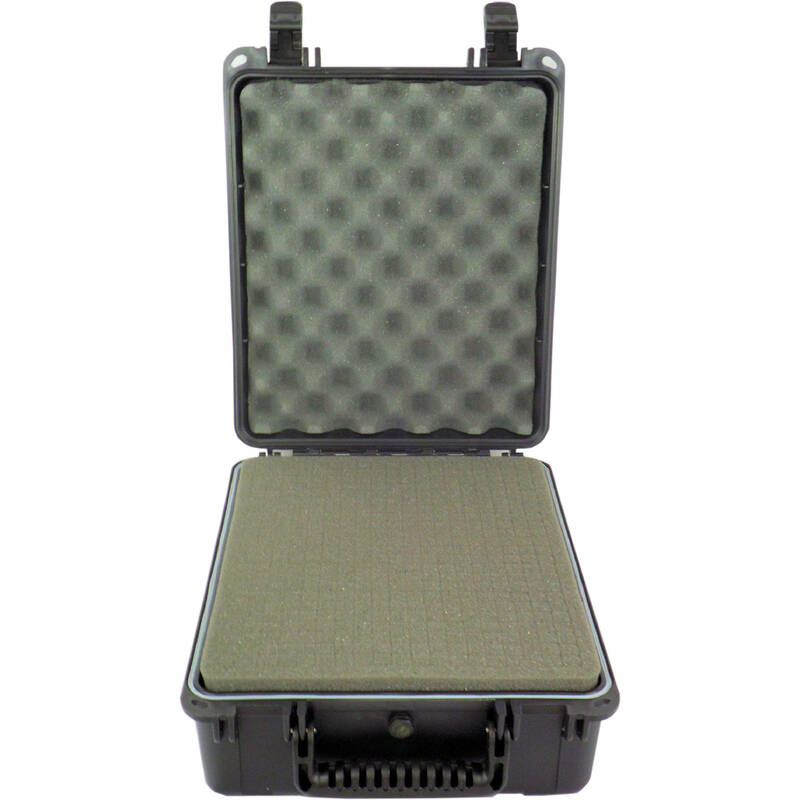 Keep your gear protected from the elements while traveling or during extreme shooting conditions in this black Watertight 101746 Hard Case from Condition 1. This hard-shell case is airtight and waterproof up to three feet for 30 minutes. It has an O-ring seal and is designed to withstand the rigors of extreme conditions while traveling in the field. You can open it via the two spring latches, which feature lock holders for an optional padlock. An auto-pressure equalization valve works to keep contents secure during air travel while the Pick-N-Pluck foam provides secure customized padding for your gear. A convoluted foam lid ensures your contents stay put during the most tumultuous of journeys. Carry the case with the durable top grip handle, featuring finger grooves on each side to make lifting easy. The case is stackable which comes in handy when you are traveling with multiple cases. It is made in the USA. Box Dimensions (LxWxH) 16.0 x 13.5 x 7.7"